Alpine House of Toledo adds another feather to her hat. CityBeatNews (CBN) in partnership with The Stirling Center for Excellence recognizes businesses nationally based on “independent, proprietary research and evaluation system, which identifies businesses with a track record of top-flight customer service and customer satisfaction” by CBN. 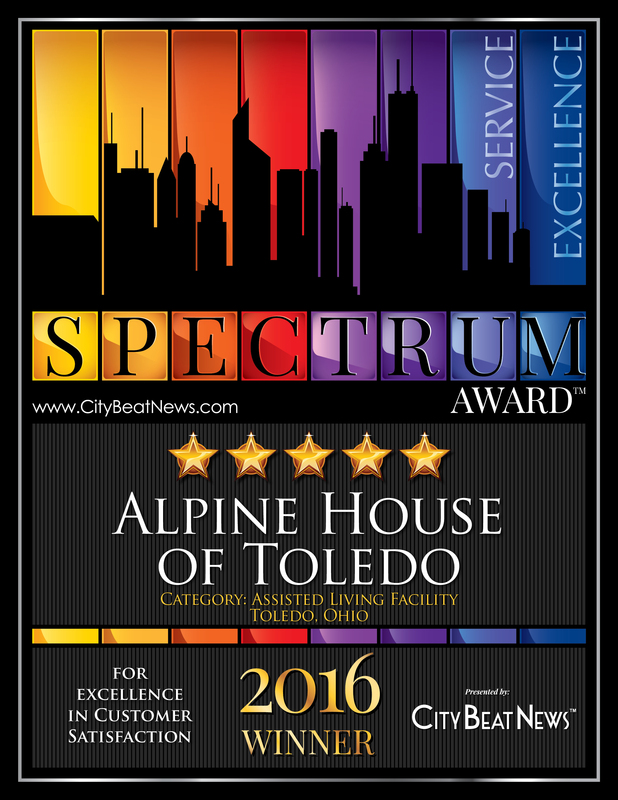 Alpine House ( Toledo) was awarded the 2016 Spectrum Award for Excellence in Customer Service. SAI Group’s management team congratulates the facility’s manager, Amy Morton, and her team of dedicated staff members, residents, and their friends and families on achieving this well- deserved honor. Kudos to all at Alpine House of Toledo.